Whether you’re going to visit Madrid for a short weekend or for a bigger vacation, you’ll never get tired of the third biggest European capital. And yes, Madrid is huge and has a lot to offer. 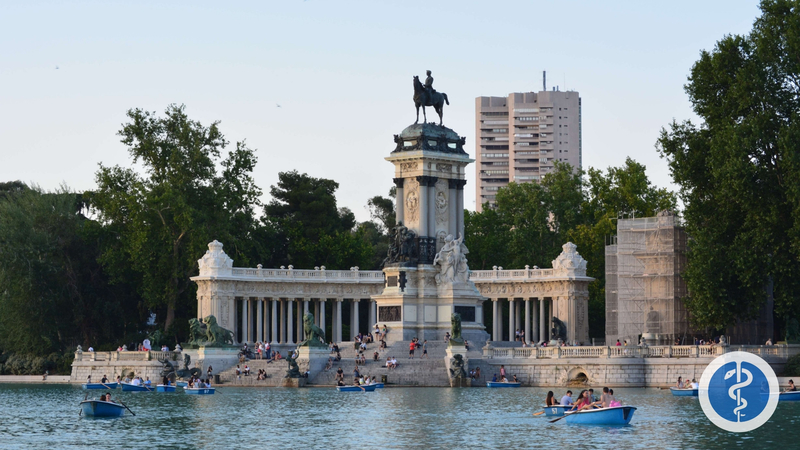 You can go for a shopping tour down its biggest avenue, La Gran Vía, or go for a romantic walk through El Retiro. If you are looking for something more cultural, you can visit one of its dozens of Museums, and you’ll surely fall in love at the El Prado. But traveling and understanding a culture is not only about discovering amazing places, it’s also about mixing with the locals and living their rhythm for a short while. It would be insane not to taste every single tapas at the local market and the amazing Spanish wines. You’ll also probably end up the night in a fancy club with the Spanish’s favorite drink; a gin tonic. The thing is, your stomach and liver might pass you the bill for those late dinners at 11 pm and the quantity of food; and there’s nothing worse than feeling nauseous and vomiting during a few days when you are travelling and short of time. Would you rather spend your days in bed or discovering the city? That’s when Tripmedic will be here to help you. Whether you are suffering from food intoxication, have fallen badly and hurt your back or in pain due to one of your severe migraines, we want you to find an English speaking doctor close to you so that you can keep enjoying your trip. Let me tell you a little bit about the Servicio Madrileño de Salud (Madrid’s public healthcare system) before we move on. Spain has one of the best health systems in the world. It is ranked # 7 by the World Health Organization. Furthermore, in Spain each region is autonomous, and in the case of Madrid, health has been the top priority of the regional government. There are many ways to have access to Madrid health care system; if you are employed, self-employed “autonomo”, or retired, and pay social security tax, you’ll need to register yourself (it is called “empadronamiento”) and then you’ll get your health card “tarjeta sanitaria”. The process is easy but may be time-consuming. That’s why some expats chose to hire a private health insurance to gain some time. Accessing the public health system for travellers. If you are just visiting Madrid, and are a European Union (EU) resident, you can ask for your European health card in your country of origin; and you’ll have access to any public hospital for free in Madrid. If you are not an EU resident, you will, of course, be accepted at the public hospital for emergency reasons even though you’ll have to pay a high amount of money after you get attended. That’s why we highly recommend you to have a private health insurance when you are travelling from outside the European Union. Only 20,6% of Spanish have chosen to have a private health insurance that enables them to quickly book a doctor near them from their mobile phone or computer. Anyways, whether you need to pay for a doctor visit or not, you will likely have a hard time to make yourself understood in Madrid. According to one of the most famous Spanish newspapers, 60% of Spanish say they can’t read, understand nor speak English. 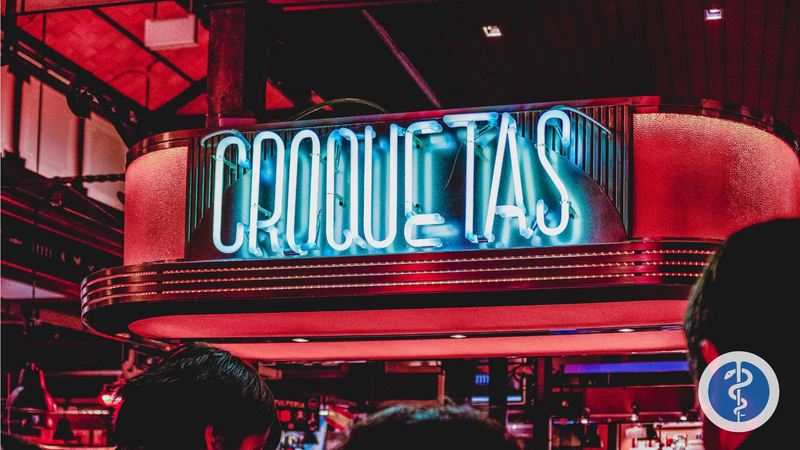 We already know that the only words you know in Spanish are food and party related, so you really need to find an English speaking doctor near you as soon as possible. That’s when Tripmedic brings you the best solution for your health. Your health will always be the most important thing for you and our number one priority. At Tripmedic, we want you to enjoy your holidays whenever you are, and that’s why we’ve created a platform to help you find an English speaking doctor in Madrid. You can do it online or by phone, both solutions are fast and easy. Now that you’ve booked an English speaking doctor online, you can go back to enjoying the rest of your holidays! Are we going to Malasaña tonight?